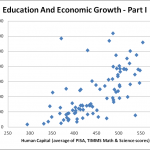 One of the key criticisms of my last post on the tight connections between (educational) human capital and economic performance is that correlation need not imply causation. An alternate (and PC-compliant) explanation is that “you get the education system you could afford, and the level of human capital in the kids is mostly determined by the efficiency of the schooling system.” Is there any evidence to support this argument? 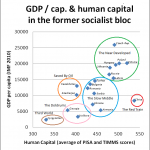 As a country with a long history of normal capitalist development, and with no regions enjoying particularly lucrative resource windfalls, it is not a surprise to see a close exponential correlation between my Human Capital Index (see methodology here) and Italy’s GDP (PPP, in US dollars) per capita (R2=0.7302). 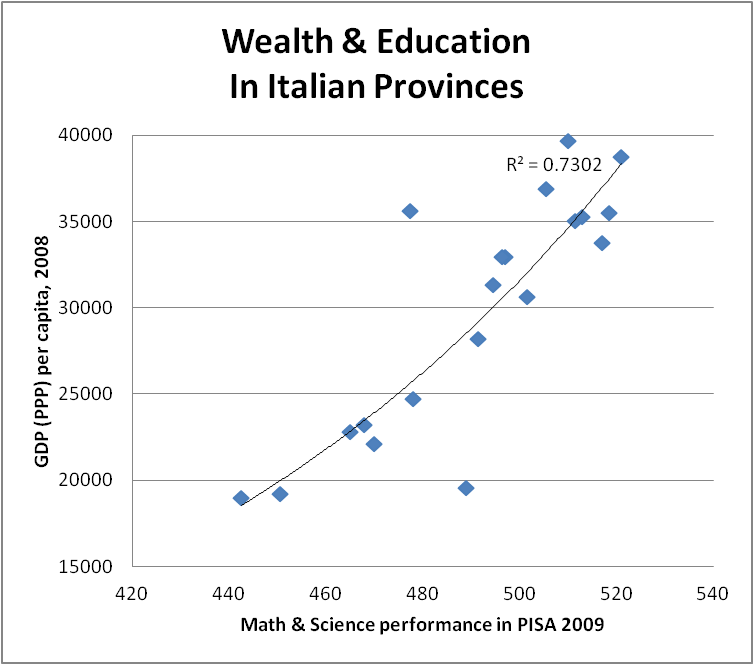 Furthermore, when we note that one of the major outliers hosts the Italian capital, and remove it, the correlation becomes even more impressive (R2=0.8221), equaling that of the Capitalist Normal countries as a group. Removing the other major outlier, Apulia, and the Germanic South Tyrol, makes the correlation almost perfect (R2=0.9461). This does not strictly prove anything, but it is a good argument for the relative lack of importance of funding levels towards academic success. There appear to be hard limits to the human capital money can buy. 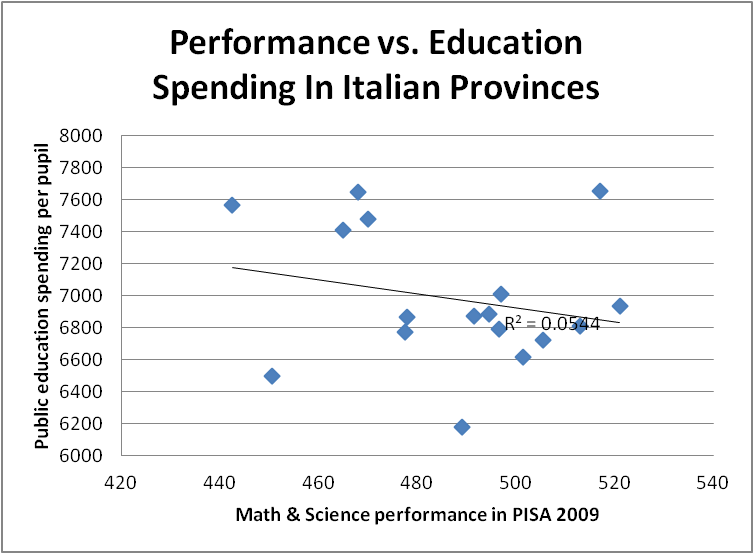 After all, Italy’s education system is highly centralized, with a difference of a mere 20% between the highest and lowest spending provinces on education (it is also well known that it is socio-culturally variegated to a much greater extent than your typical European country, which makes it a good laboratory for social science experiments). 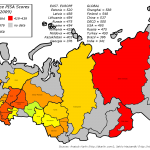 Nonetheless, they produce a wide range of outcomes; for instance, whereas the best-performing provinces like Trentino and Friuli-Venezia Giulia get results similar to that of the Netherlands, the worst-performing ones like Calabria and Sicily have countries like Turkey and Bulgaria for company. 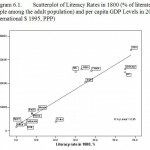 Education is very important, being intricately connected with potential for productivity growth and increasing prosperity; it deserves a lot of funding, and optimizing reforms. 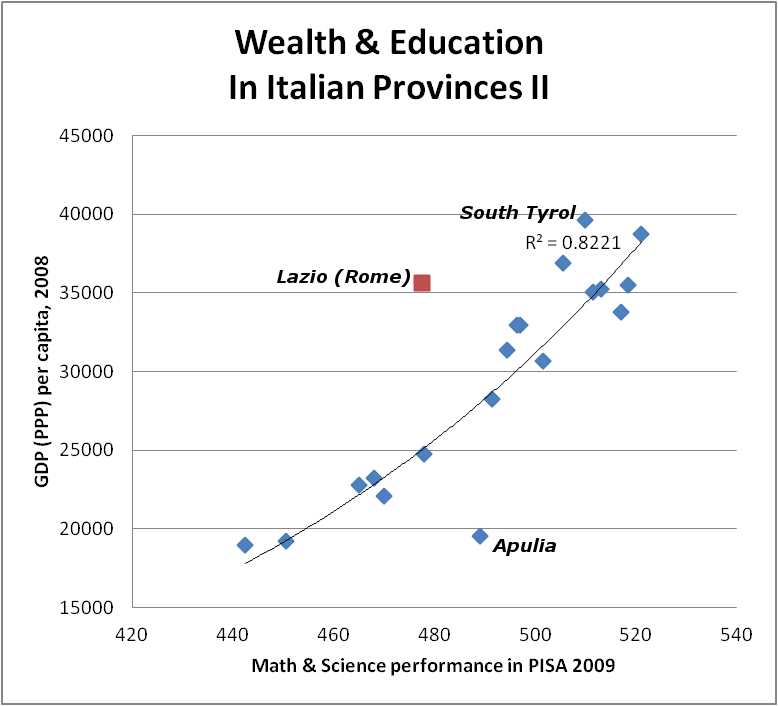 But as Italy glaringly demonstrates, the potential for developing human capital is constrained by some combination of social, cultural, and ethnic factors; factors that can be partially mitigated but not overcome by throwing money at them. There are plenty of other examples to back this up. For instance, inner city schools in the US get a lot more in the way of funding than suburban ones – let alone average Chinese schools, which have been de-emphasized in the reform era. 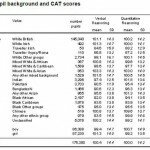 Nonetheless, the human capital generated in the latter two institutions far exceed that generated in the US inner city schools. Next in this series: How to reconcile Israeli idiocy (as measured by the HCI) with Jewish intelligence (as measured by IQ tests, Nobel Prize winners, etc) – any preliminary theories?, and perhaps on how they also challenge some stereotypes about Georgians.